Below you can view all the condos for sale in the Arbor Ridge subdivision located in Marietta Georgia. 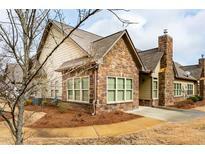 Listings in Arbor Ridge are updated daily from data we receive from the Atlanta multiple listing service. To learn more about any of these condos or to receive custom notifications when a new property is listed for sale in Arbor Ridge, give us a call at 404-998-4102. Upgrades Include Kitchen Backsplash W/Glass Tile, Open To Large Family Room With Stack-Stone Fireplace, Trey Ceiling And 2 Ceiling Fans, Hardwood Flooring, Electrical Plugs In Floor, Extended Patio W/Room For Table & Chairs, Open Floorplan. Must See! Won'T Last Long. MLS#6503289. Keller Williams Realty Signature Partners.